The Energy Saving Trust (EST) has released a report to say homeowners should upgrade to energy efficient devices like combi boilers to battle the financial and environmental costs of heating water. The group said around 33 million tonnes of CO2 was created solely from hot water use across the UK – accounting for five per cent of the UK’s total carbon emissions – and heating water costs households around £200 a year. The cost of heating water up makes up almost a third of the average household gas bill and could cost more if you use an electric immersion heater, according to the EST. The EST has called for an ongoing nationwide water efficiency education and advice campaigns to encourage homeowners to turn to greener products like energy efficient condensing boilers to reduce the UK’s carbon emissions and to save them money. Water Strategy Manager for EST, Andrew Tucker, said: “We’ve all heard about water waste, something that’s particularly pertinent as we enter the summer months, but very few people are aware about the impact of heating water on our overall carbon emissions. “In fact, hot water is second only to space heating as a proportion of our homes’ carbon footprint. “Water is something we need in the home – we are not saying to people ‘don’t use water’. “We are talking about some simple and sensible changes in the way we use hot water in our homes that would make a massive difference as we aim to hit our ambitious carbon emission reduction targets. “Tackling the energy efficiency of our housing stock is also clearly a major challenge, and it’s clear that water efficiency should now be considered as a simple energy efficiency and carbon reduction option as part of all the major work that needs to be done on this front and in new-build projects too. 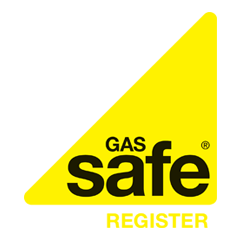 A Gas Safe Registered boiler engineer will be able to give you recommendations on the most efficient appliances to cut your bills and reduce your CO2 output.